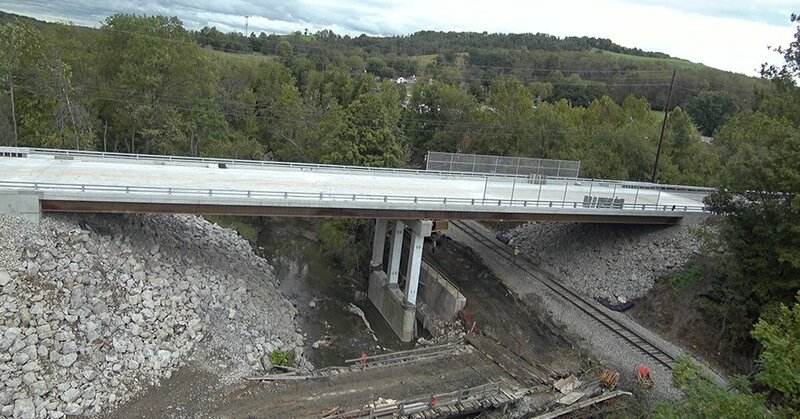 CDR Maguire Inc. was retained by PennDOT District 12-0 to design the SR 0136-G10 Bridge Replacement in Eighty Four, PA. The SR 0136-G10 Bridge spans over Little Chartiers Creek and the B&O (CSX) Railroad. The replacement structure is a 206 foot long 2-span continuous integral abutment bridge. A maximum of 29 days was allowed by contract with a $50,000/day incentive-disincentive. The successful bid was for 28 days and $7.38M. The road was closed on September 7, 2016 and was re-opened to traffic on September 30, 2016, just 24 construction days later.